This is our new book. We are excited about it because it is a bit different. It is fiction, telling the story of a young boy named Leland. The reader will learn how to tangle right along with Leland. Leland has a bit of trouble with school until Ms. Izzi (CZT) comes along. Our first book, Mindfulness in Pen and Ink is still going strong on Smashwords, the iBookstore, and Barnes and Noble. 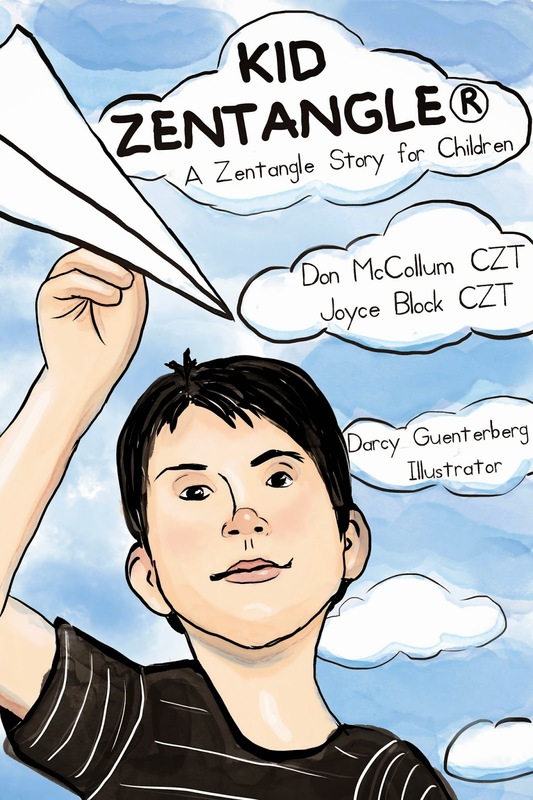 This book was an ebook whereas Kid Zentangle® is both and ebook and a print book. The ebook release date will be in mid to late January. We hired an illustrator with this book, Darcy Guenterberg from Milwaukee, WI. It was a pleasure to work with her and are hoping perhaps she will work with us again. We are hoping that you will take a look at it and perhaps buy a copy. How can I review the book? Purchase? I sounds interesting.